Use a system powered by LG Signs to take control of your marketing and create Showroom Signs & Point Of Sale items and make your showroom look the business. Our easy to use LG Signs Software makes designing signs effortless. 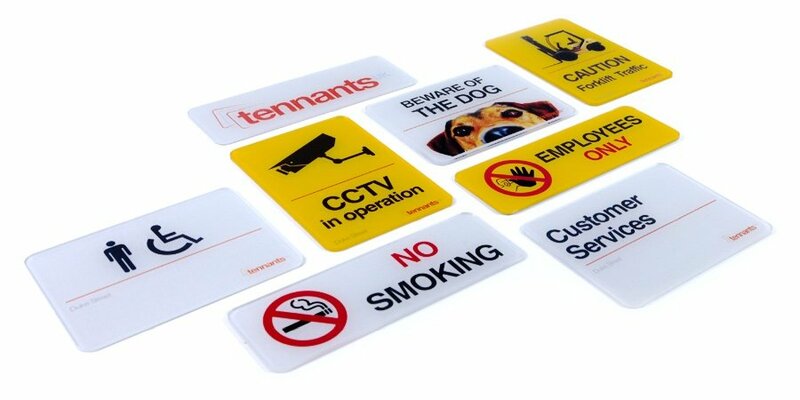 Packaged for the complete novice, you can choose from a huge range of restriction free templates and create P.O.S, informational and directional signs. Use a Trade or Pro system and print designs out onto an array of high quality media, providing choices for display location and offering value for money. Make your own individual designs. Select from a wide range of sizes. Produce showroom, retail & office signs. Create eye catching P.O.S items. Use a full colour palette. We only supply the finest substrate solutions, fit for purpose. Print on your choice of paper or card, or select our media components for their standalone capability. Print your full colour designs on our highly retainable film and apply it to our incredibly robust plastic backings. 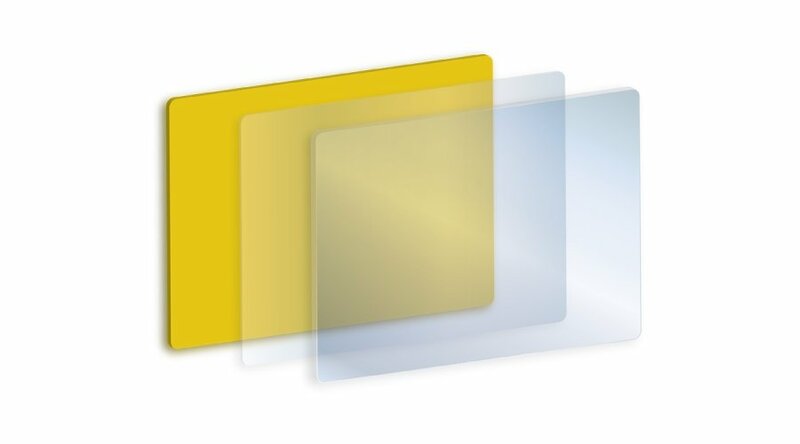 Or take a leaf from our hybrid plates and put it behind a clear acrylic face plate for improved durability. There are some jobs so big, you may want us to handle them. Our commercial signs and advertising division can help transform your business into an eye catching sales hub, ready to entice and win over any customer. Signs and displays with lighting. Large format posters and billboard printing. Floor graphics & window displays. Corporate fleet wrapping & chevrons. Interested in how showroom signs can work for you? 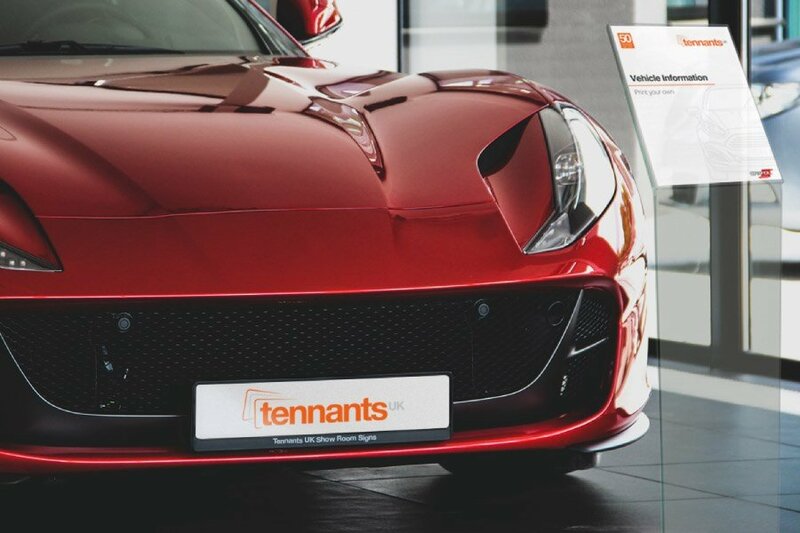 Call us on 0115 9738084, email sales@tennantsuk.com or use the form link above and fill in your contact and inquiry details.